We take a walk around the Rogaska Slatina Park, which has a rich history – in 1846 Franz Liszt resided here; in 2011 it won an awardfor the most beautiful regulated spa town. The noteworthy Crystal Hall even today hosts numerous concerts, recitals and theatre performances. In the drinking hall we recommend tasting of the healing mineral water Donat Mg, which you can buy in the shops as well. We take you past the spa resort of Olimje to visit the Olimje Monastery - the oldest Slovenian pharmacy with a domestic botanical garden with nearly two hundred species of medicinal herbs. Close by there is also a chocolatier, where they make and sell homemade chocolate. At Jelenov Greben (Deer Crest) they breed deer and walking among them is a unique experience. It is possible to purchase domestic dried meat products. Here we stop for lunch featuring local delicacies, including an excellent venison goulash. Also possible wine tasting. Nearby is a private brewery, Haller, where both dark and light beer is brewed. 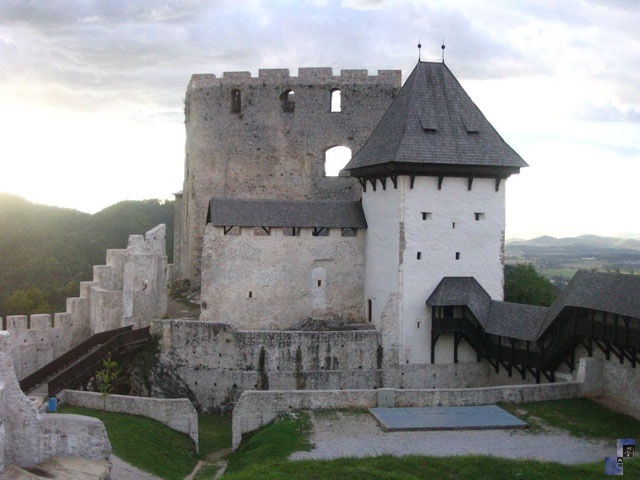 On our way from Ljubljana to Rogaska Slatina we will visit Old Castle Celje, which is one of the most important sites of castle architecture in Slovenia. Also we can make a visit to the archaeological park and a Roman cemetery. Optional supplements: Ana's house, a tradition in Rogaska Slatina (5 € / person), Celje Old Castle (4 € / person), wine tasting with or without cold cuts (from 10 € / person), Roman necropolis (5 € / person).